I am a sucker for homemade school Valentine’s but I have total sympathy for all the busy moms out there that don’t have time or energy to whip them up from scratch. 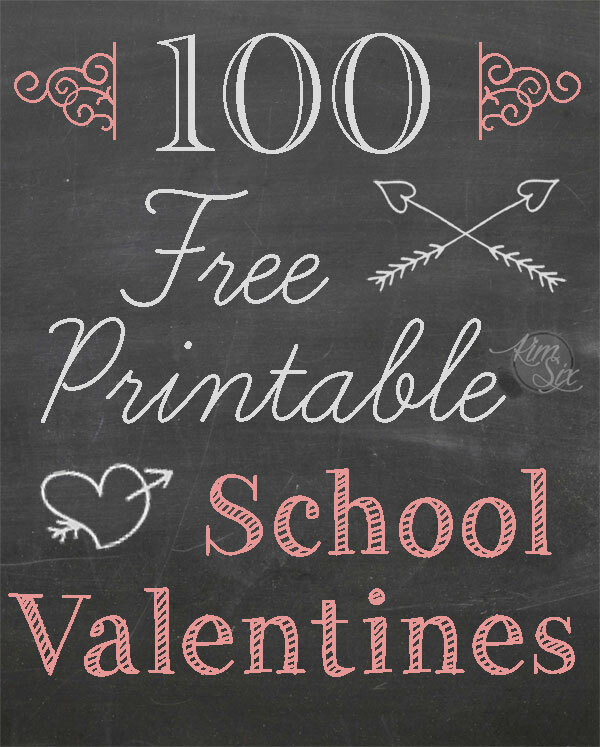 So today I thought I would make it easy on you, but rounding up ONE HUNDRED Valentines idea all of which include a free printable. There are two categories. Printables to attach to a small gift or treat, and Printables that don't need anything else! "Awesome Sauce" (Applesauce) by C.R.A.F.T. "I'm Stuck on You" (Band Aids) from C.R.A.F.T. And if that is too much work (or your school doesn’t allow treats to be sent in) THESE Valentines require nothing more than printing them out! Almost as easy as those tiny little Valentines they sell at the drug store. I hope you have found a little inspiration on this list. No more need for drug store Valentine's Day Cards!